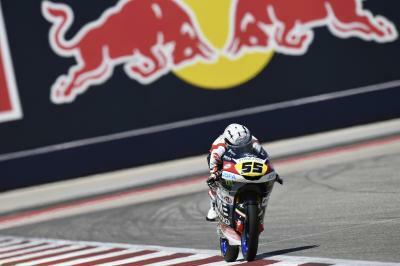 VNE Snipers’ Romano Fenati was again fastest at the Red Bull Grand Prix of the Americas in a frantic Moto3™ FP2 session as everyone tried to squeeze into the top 14 and secure a place in Q2 with wet weather forecast for tomorrow. The Italian was half a second clear of everyone else with the chequered flag out but the SIC58 Squadra Corse duo of Tatsuki Suzuki and Niccolo Antonelli closed his advantage down to 0.275. 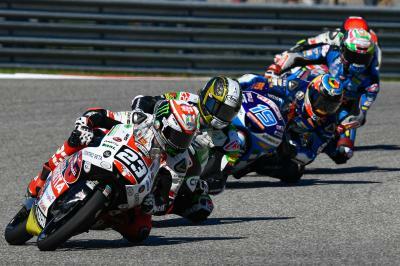 The Japanese rider was second quickest and Antonelli third, having recovered from an earlier crash at Turn 17. 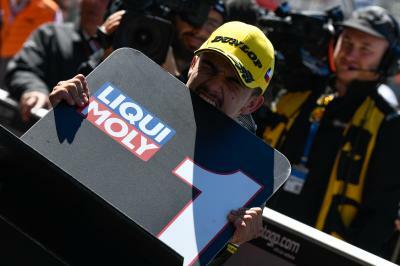 Leopard Racing’s Lorenzo Dalla Porta was 0.612 adrift of his compatriot Fenati in fourth place after his final lap of the session saw him jump up the order. 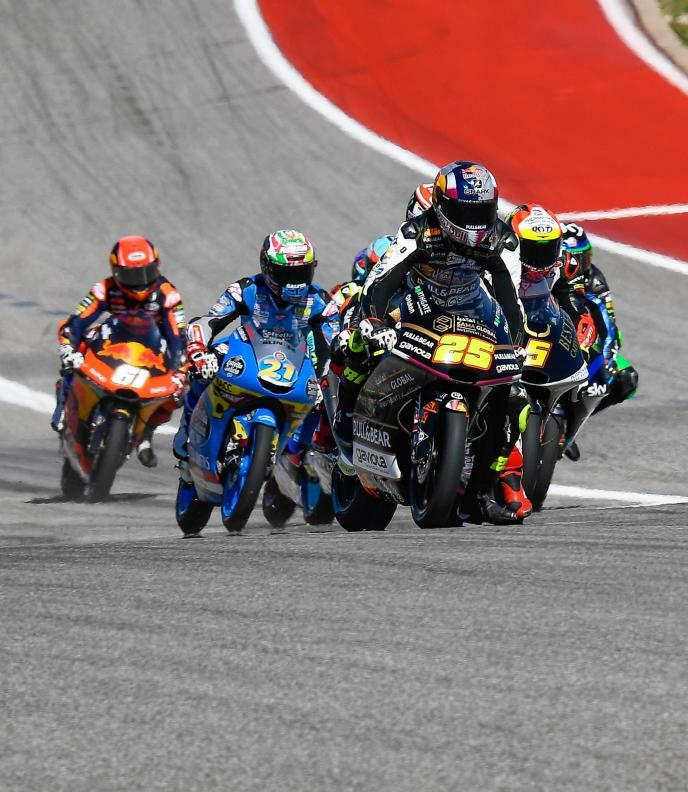 Tony Arbolino (VNE Snipers) was just 0.001 seconds behind Dalla Porta in fifth with Aron Canet (Sterilgarda Max Racing Team) eventually closing the session sixth quickest. 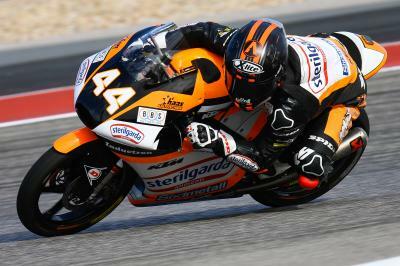 Redox Prüstel GP’s Jakub Kornfeil ended three quarters of a second behind the pacesetter in seventh overall. 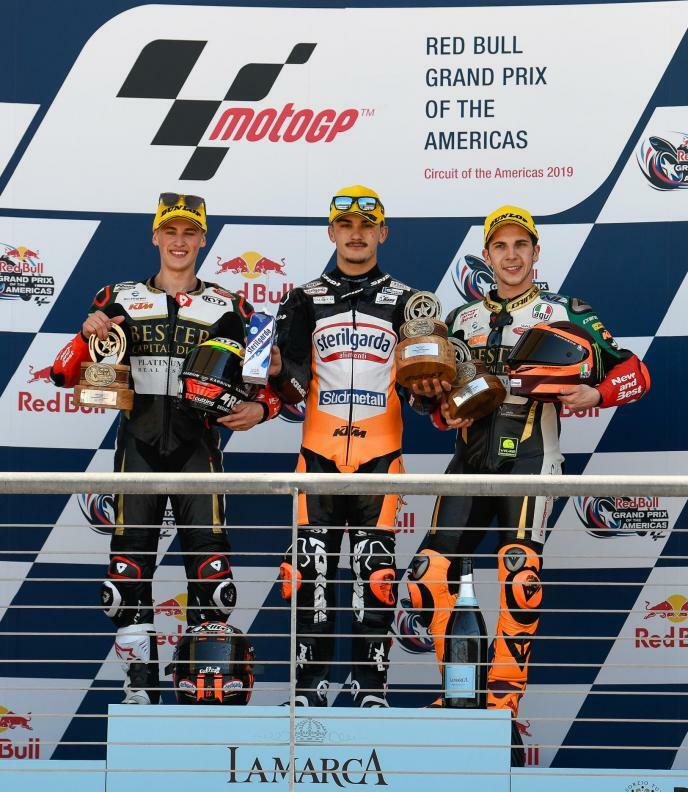 Rounding out the top ten were Gabriel Rodrigo (Kömmerling Gresini Moto3), Ayumu Sasaki (Petronas Sprinta Racing) and Andrea Migno (Bester Capital Dubai), who still managed to provisionally bag himself a Q2 spot despite crashing out at Turn 4 unhurt. 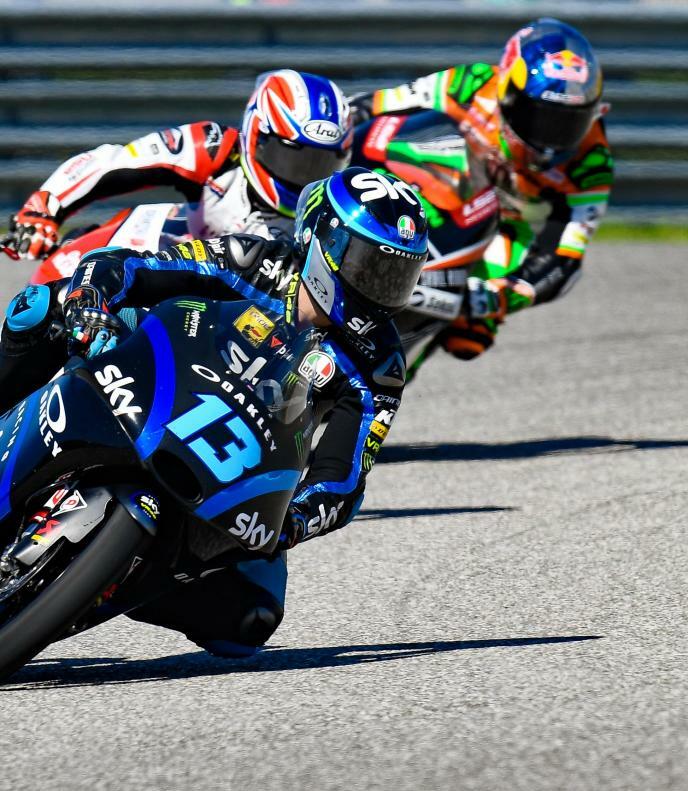 Also managing to squeeze into the top 14 and looking like they’ll be in Q2 on Saturday afternoon was Sky Racing Team VR46’s Dennis Foggia, Petronas Sprinta Racing’s John McPhee, BOE Skull Rider Mugen Race’s Kazuki Masaki and Estrella Galicia 0,0’s Alonso Lopez, who was the third and final faller of the session – rider OK. The Moto3™ grid currently not inside the top 14, including the winners of the opening races of the season Kaito Toba (Honda Team Asia) and Jaume Masia (Bester Capital Dubai), will get one final opportunity to move straight into Q2 tomorrow at 09:00 (GMT-5) but they’ll be praying the rain that is forecast doesn’t materialise.